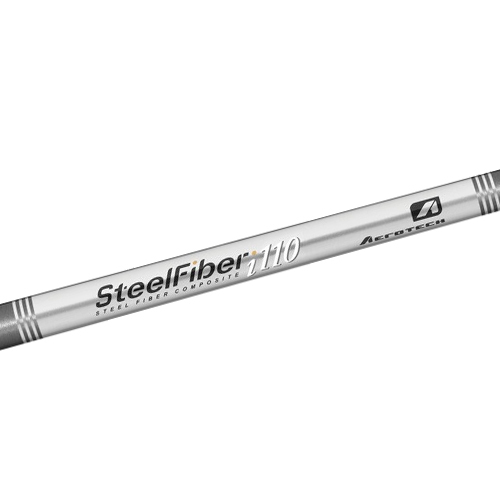 Players looking to go a little bit lighter than the typical steel shafted irons choose the SteelFiber i110 so they can pick up some yardage while maintaining a low penetrating ball flight and avoid changing the overall feel they are accustomed to from playing steel shafts. The player will also take advantage of the reduced vibrations of a composite shaft resulting in fewer injuries and less fatigue during the round. • Each steel fiber has a diameter of 8 microns or approximately 1⁄10th the diameter of a human hair.